Here are some examples of talks and posters about M2M. 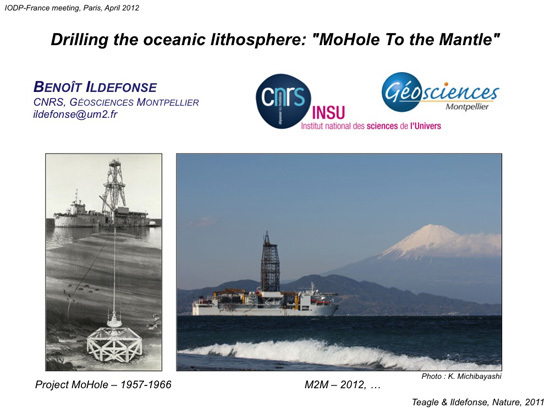 Please contact Benoît Ildefonse or Katsuyoshi Michibayashi if you which to use some of this material and access higher resolution/unprotected pdf files. 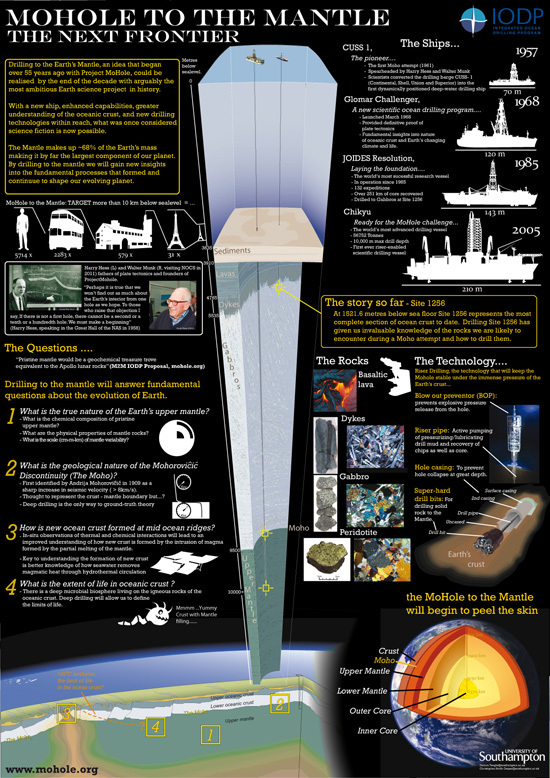 Drilling the oceanic lithosphere : "MoHole To the Mantle"